To provide you and your family with the highest quality medical care, we must be kept informed of any changes in your medical condition. We ask that you please inform us if any of the following have occurred since your last office visit. Has there been a change in any of your medications – any new medications, discontinuance of old medications, change in dosage, new allergies to medications? Have you visited an urgent care or emergency room or been admitted to the hospital? If yes, when, where and why? Has there been any changes to your medical history or health? Have you undergone any medical testing not ordered by this office – labs, x-rays, etc.? Have you started any new supplements or vitamins? Have you enrolled in a weight loss program? Has anything else changed that would be important for us to know? 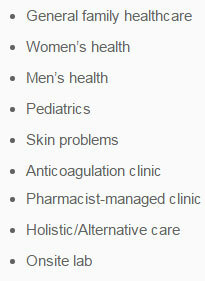 A list of current prescription and non-prescription medications, vitamins and supplements. A good description of the problem, how long you have had it and how it affects you. 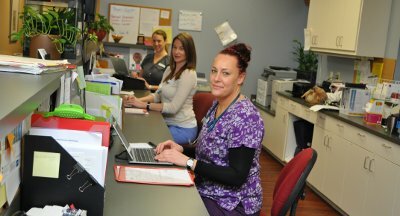 A list of questions you would like to discuss with the provider. We offer same day appointments every day for urgent medical needs. We ask that you call as early as possible if you think you will need to be seen so that we may reserve an appointment that will fit your schedule. For same day appointments please call us during normal telephone hours at 919-233-6000 and select option #1. If you have questions about your medical care or a current medical problem we can be reached at 919-233-6000 and select option #1. After hour calls should be limited to urgent or emergent matters. You can reach the on-call provider @ 919-233-6000 and listening to the answering service instructions. You should expect a return call within 30 minutes. If you do not receive a return call, please call again. If your condition worsens, go immediately to the emergency department of the nearest hospital. The on-call provider will not call in prescriptions. These matters must be handled during routine office visits. The on-call provider can not treat your condition with a prescription medication after hours. They can arrange for you to have an early morning appointment if your condition warrants. Non-urgent calls incur a $25 charge. For same day appointments please call us during normal telephone hours @ 919-233-6000 and select option #1. Messages may be left for a provider during normal business hours and will be returned the same business day if taken before 3pm. Messages left after 3pm will be returned the following business day, unless they are of an urgent or emergent nature. Please provide your pharmacy information when you come for your appointments. Refills of existing medications are handled by having your pharmacy send prescriptions online Monday through Friday only. Prescriptions will not be filled after hours or on weekends. If you are out of your medications you can request a couple day supply from your pharmacy until your prescription is refilled. Please allow 24-48 hours for refill requests to be completed. The provider may require an appointment before refills are approved. Narcotics will not be refilled without an appointment. LabCorp is an independent lab and is located inside Cary Healthcare Associates. Please check with your insurance carrier to ensure you can use LabCorp. Diagnostic studies are done at various centers. Please check with your insurance carrier for centers that are covered under your insurance plan. If your lab test is normal you will NOT receive a phone call from us. Normal lab will typically be published within 1 week to your patient portal account. Please check your email for a notification once it is published. You WILL be contacted by phone for any abnormal results that require a discussion with your provider; otherwise they will be published to your patient portal account.